GroPro is one of the perfect solution to replace SDPP, which has been approved thousands of client around the world. Proteins in GroPro are in the form of free amino acids and peptides, which will be more helpful in protein synthesis and digestion. It provides young animals digestible proteins and functional nucleic acids to help them get through critical early growth stages. GroPro also provides exogenous nucleic acids for young animals, which can attract feed intake of weaned piglets. The MOS and glucan in GroPro can enhance the immunity of animals as well as SDPP. 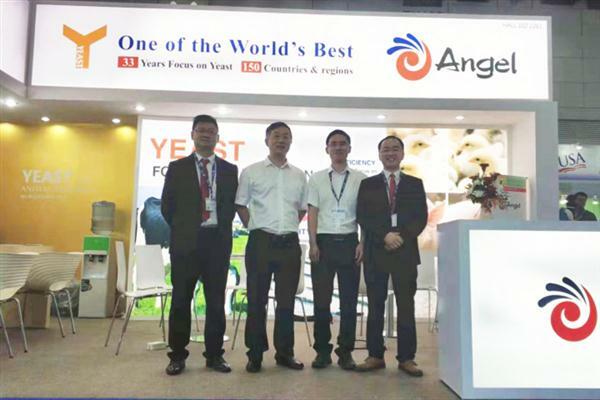 Wu Zhaohui, deputy general manager of Angel Yeast, and Zuo Jiahua, deputy general manager of Animal Nutrition, led the Fubon team to participate in the event. Subdivision of GroPro product brands is one of the most important initiatives of international brand promotion this year. 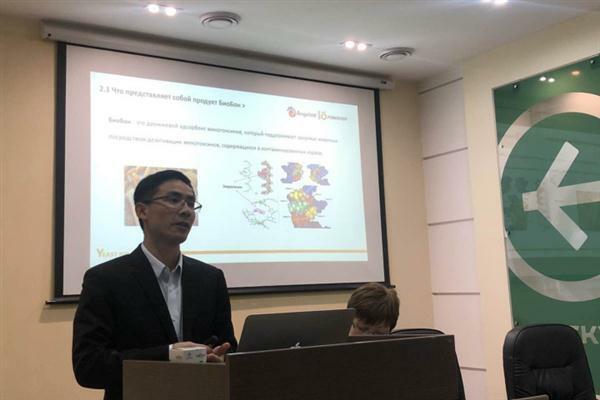 With the help of this exhibition's influence in Europe and the world, the theme of the show is the nutrition and health of young animals, which has promoted the image of Fubon and GroPro brand experts. The solutions in various fields of GroPro have also been widely recognized by international users. The international business team of Animal Nutrition Department has responded positively to the negative impact of the global trade situation. Since October, it has participated in four international exhibitions in Egypt, Russia, and other places, and insisted on "sales+technical" service mode to find opportunities and breakthroughs in the global market. At the end of the year, the Department of Animal Nutrition will also go to South Asia and North America markets to continue to expand its leading edge. 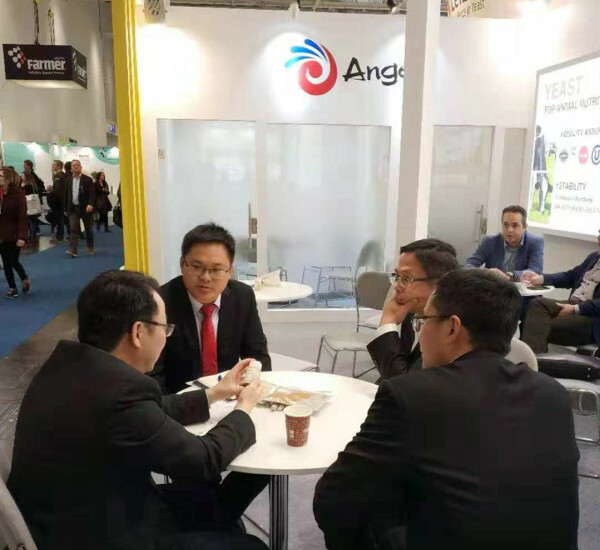 Photo: Wu Zhaohui, deputy general manager of Angel Yeast, is communicating with customers.